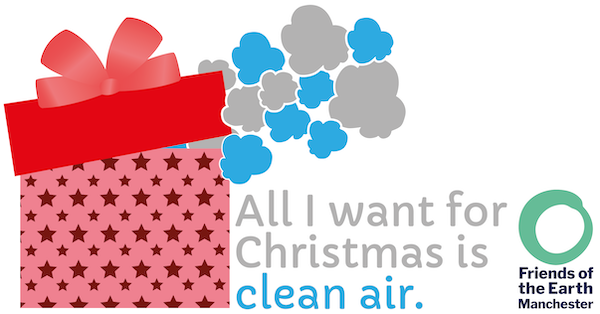 Manchester Friends of the Earth | All I want for Christmas is Clean Air – send a Christmas Card to your council leader! 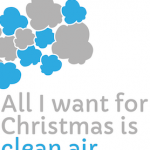 All I want for Christmas is Clean Air – send a Christmas Card to your council leader! Greater Manchester will soon be deciding on its Clear Air Plan and we need urgent action to reduce air pollution and help us breathe more easily. Manchester has the highest rate of hospital admissions for asthma in the country and it is estimated that air pollution has a £1 billion annual cost to the Greater Manchester economy. Please send this Christmas card to your council leader to remind them how important it is to you that we see strong action to provide clean air and sustainable transport. Below, you can edit a personal message to accompany the Christmas card. Thanks – and merry Christmas! This online action is now closed.